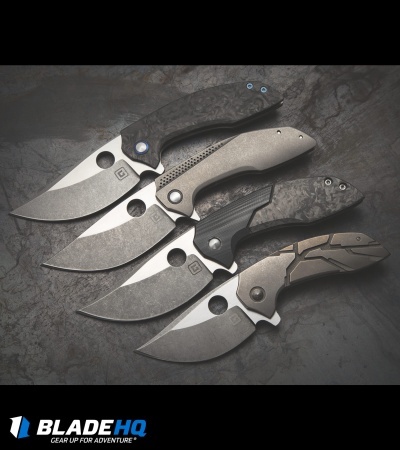 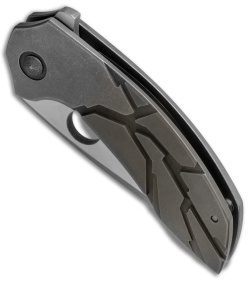 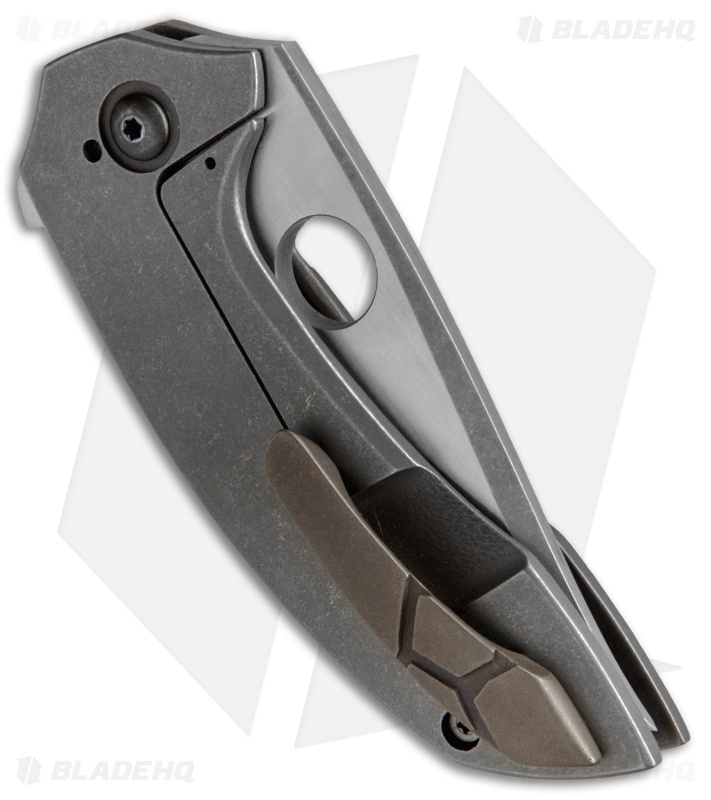 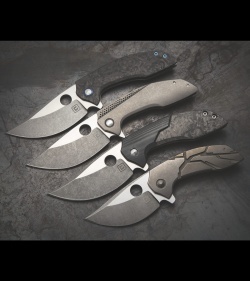 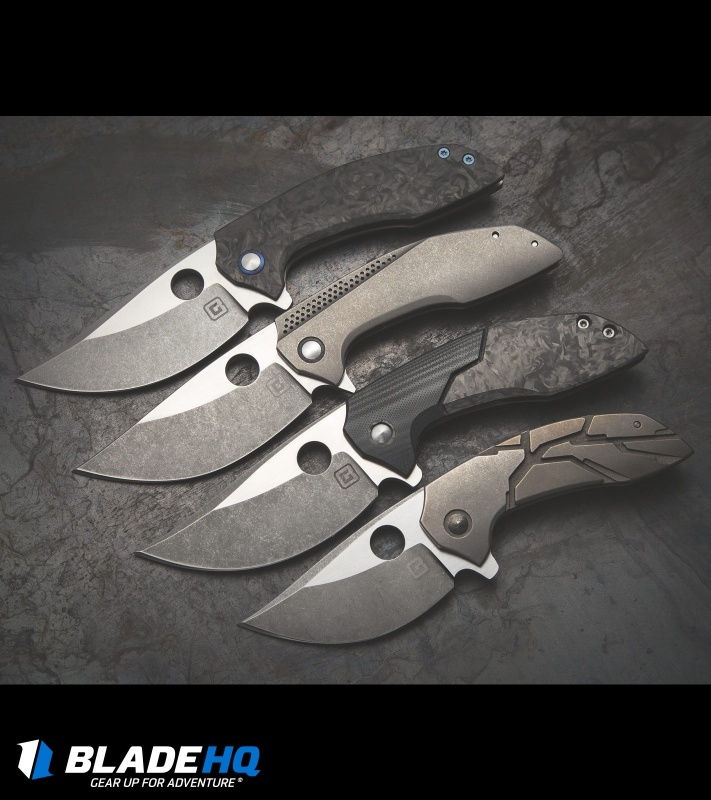 The TuffKnives Custom Catalyst O Mini from Geoff Blauvelt offers EDC perfection in a more compact size. 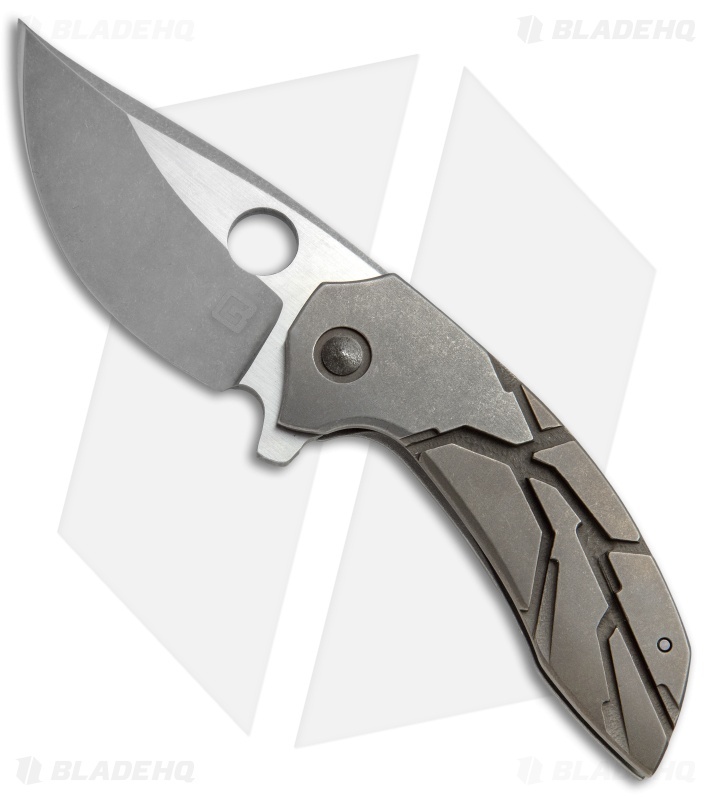 This knife features full titanium handle construction with a unique milled design and hand sculpted details. The CPM-154 blade has a rounded belly and an impressive two-tone finish with satin flats and acid washed grinds. A bronzed titanium pocket clip and purple anodized standoff complete this collectible custom design.